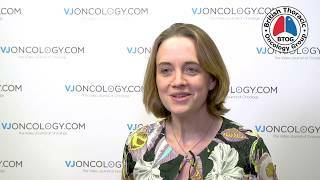 ASCO 2018 | Is mobile symptom monitoring the way forward for patients receiving radiotherapy? 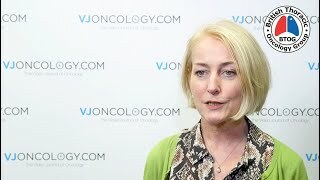 In this video, recorded at the American Society of Oncology (ASCO) 2018 Annual Meeting, held in Chicago, IL, Susan Peterson, PhD, of the MD Anderson Cancer Center, Houston, TX, outlines the key findings from her study exploring the effect of mobile and sensor vital monitoring for head and neck cancer patients undergoing radiotherapy (NCT02253238). She discusses the implications of using technology in this setting, and looks forward to suggest future directions for this research. 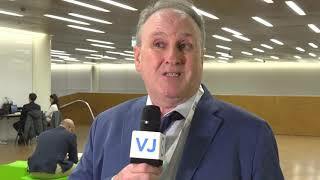 During radiation for head and neck cancer, patients can get quite sick during the course of treatment, and in the study that we presented at ASCO we found that between 80 to 80 percent of patients adhere to the daily monitoring that we had asked them to do when they were in the CYCORE arm of the study. So that’s very encouraging because it shows that even when patients are quite sick during their treatment they still can engage in this monitoring. It’s encouraging in terms of trying to look at this being implemented in other settings as well. So we had previously conducted feasibility studies to determine whether or not patients would accept this technology, whether they wanted to use it, whether they felt that by having their doctors look at their data they would feel that perhaps Big Brother was looking over them. In fact we found quite the opposite. Patients really enjoyed doing the home monitoring. They felt extra cared for, and most importantly this was not a burden to patients during the cancer treatment. This provides an extra tool and additional data that clinicians don’t have access to. When patients are away from the clinic, the only way that we know how they’re doing is through their self-report, and we know from previous studies that patients often under report their symptoms when asked how they’re doing. Particularly when you start to gradually get sicker when you gradually start to sort of decline, patients are unable to recognize the fact that they might be getting worse when it happens gradually over time. The kind of objective data and the type of daily capture data that we implemented in this study actually is one way to overcome that barrier to get an more accurate picture of how patients are doing, and more accurate self-report. 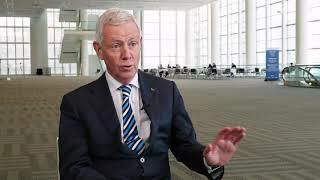 I’d also like to know that sometimes there’s a misconception that older patients won’t use digital technology. In this study the age range was between 25 and 85, and our mean age was 60 years of age, so we had an older patient population in the study who were quite good at doing the daily monitoring and quite willing to do it. I think that helps to dispel some of the assumptions that we have about whether or not we can use technology within a cancer patient population, many of whom are at older ages. 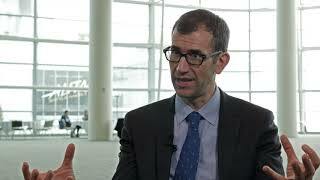 So we do have additional data in the study that we will be reporting on in the future, but we also would like to try to see now that we’ve done this study in a large comprehensive cancer center, whether or not we can also roll this model out into other cancer care settings such as community cancer settings. 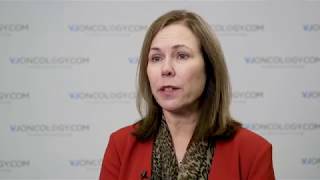 Since 80% of patients in the US receive their cancer care in a community setting, we feel that if this model can work in those kinds of settings that we could greatly improve cancer outcomes for head and neck cancer patients across the country.